Website Design Company in Patna | Website Development Company in Patna | Software Company in patna Bihar, IT company in Patna, Best Website Design Company Patna, Web hosting Company patna, Software and Website Company in Patna,Web Application Development,SEO. Qmarks has positioned itself with success in custom software design and development. We provide complete software implementation process, starting with requirement analysis , software design and development, software quality assurance testing, software deployment up to further software maintenance using modern software development platforms, software development tools & technology and latest software engineering practices. In a nutshell our strong technical team can help ensure that the client-server products and services we provide meet your expectations. We offer a range of custom software development services from system applications to business applications development, and deliver you the solution in time and with in budget. We develop desktop applications; multi-tier applications with web-based and large-scale business portals (B2B, B2C) using windows based technologies. Qmarks start your web application development by finding exactly what you need at the end on system study by our experience business analyst. We are in the main areas of custom web design and development as: Database Driven web site & Application, Web portal design and development. 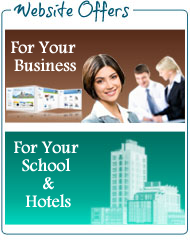 Success of your online business depends on the website of your business which speaks the face of your organization. Since the primary goal of the website is to draw the targeted Visitors those who are interested for your services and products to increase your traffics , it must be developed to be informative, innovative and attractive. Serving to a diverse range of industries encompassing Dance and Culture,Tourism and Travels, Multi Level Marketing , E-commerce, Consulting, Hotel,Medical and Hospitals,E-governance,Corporate interactive informative website and many more, our ingenious website design and development solutions help you benefit from being on web. An effective web identity must have to hold visitors attention and guide to scan and index the site's pages easily by the search engine crawlers. Only a good web design can ensure an effective web identity that meets both in holding the business and indexing the sites pages in good position by the crawler of the search engines. Qmarks offers web design services across many segments that is e-commerce,dance and culture,government,finance and investment,Tourism and wild life,Training and Institutions and many more. We serve web design solutions that meet W3C standards. Graphic design refers to the aesthetic and professional presentation of a companies capabilities and goals before the business prospects with a minimum effort. A graphic design encompass brochure design,catalog design,banner design,logo design etc. Our search engine marketing service is an incredible way to advertise and market your products or services using internet. 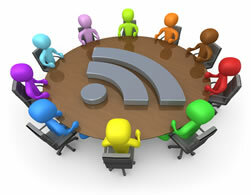 It includes website optimization, search engine submission, blog, article and forum posting and e-mail marketing. We Specialize in Search Engine Optimization (SEO), Search Engine Marketing, Website Optimization, search engine submission and search engine placement, link popularity development, PPC campaign management, web promotion, internet marketing, and other SEO services.